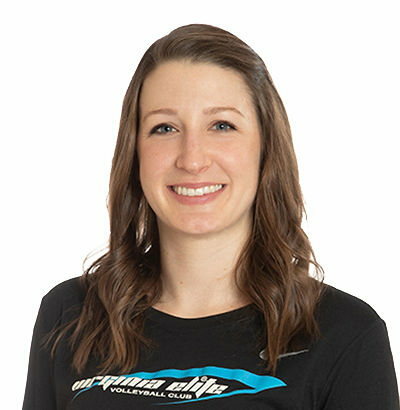 After previously serving as an assistant coach of the 15’s team, Carly Morrison returns for her second season with Virginia Elite as an 18’s assistant. Originally from Larkspur, California, Morrison brings a combined 18 years of competitive volleyball experience to the club, extending from her time with Empire Volleyball Club and Redwood High School to an accomplished collegiate career at Division I Providence College. While at Providence, she played as a starting setter for three years, repeatedly ranking in both assists and service aces per set in the America East Conference. Morrison remains active as a player in various local adult leagues around the Washington metropolitan area. Morrison earned a B.A. in political science from Providence College and a Master’s Degree in public policy from Georgetown University. She currently resides in Washington, D.C., where she works as a Research Analyst at MEF Associates.